Riley is super excited about the Secret Snowflake project that her language arts teacher, Mrs. Darlington, has assigned to help the students be more aware of what it takes to be a great friend. When she gets the name of her long time crush, Marcus, she's thrilled and plans a series of homemade gifts for him. She thinks that Marcus might have her name, too, and is impressed with how thoughtful and perceptive her gifts are. Riley and Sophia pay a lot of attention to the project and realize that Alice, a new girl, could use some friends. Riley is also enjoying her choral group, which spends the holidays going to nursing homes and malls to spread holiday spirit, and makes a new friend in Jacob, the only other 7th grader in the group. 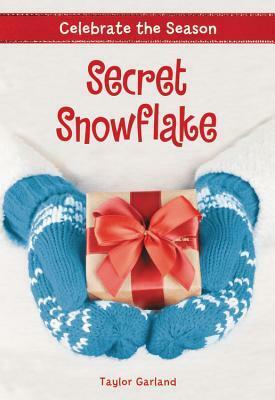 As the holidays approach, there is cooking baking, carol singing, and hanging out with friends, but when the big Secret Snowflake reveal party happens, she realizes that her perception of classmates hasn't been entirely accurate. Strengths: Super cute and fun! 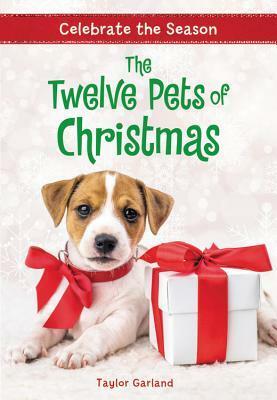 I also appreciated that while this is clearly Christmas related, the book celebrates the holiday season in a cultural rather than religious way. Many of my Muslim students are great fans of this type of romantic school story, and this is heavy on the US celebration of the holiday without getting into religious details. I'm a big fan of the Generic Holiday Bush and Winter Carols for this reason! Weaknesses: I wish that Marcus had redeemed himself , but his depiction is probably more typical of the average, jerky middle school boy. As much as I want every middle school boy to be just like Heldring's Caleb in The Football Girl, it's not going to happen in fiction OR in real life. What I really think: Only two in the series so far, and I bought them without reading them. I would gladly buy two dozen in a series of these! Quinn volunteers at the local animal shelter, and paints ornaments of the Twelve Pets of Christmas that the shelter is featuring in December. Everyone is so pleased with them that she gets lots of orders for custom ornaments. She plans on donating half of her proceeds to the shelter and using the other half to fly out to visit her best friend, Annabelle, who moved away at the start of the school year. Quinn is especially fond of one of the dogs, Buddy, who has made quite an impression on one little boy. Unfortunately, Charlie's mother is in school and can't afford the expense of a pet. Quinn and her new friend, Eliza, spend a lot of time helping out the shelter and finding ways for pets to be adopted. In the end, Quinn finds a way to help Buddy and Charlie as well. Strengths: Pet and shelter stories are always popular, and I liked that Quinn dealt with difficulties in her life with support from those around her. A mother is never mentioned, but this book lacks the typical hand wringing about the situation. It's nice to see Quinn and Eliza connect over a shared interest, and Quinn's entrepreneurial spirit is a good example. Weaknesses: This is a perhaps overly positive and sentimental view of a pet shelter; readers who want to volunteer at an actual shelter might be disillusioned. What I really think: Well done, Little, Brown! If I had tween girls on my Christmas list, these books would definitely be in their stockings. Great covers, fun stories, even a cute small size! What's cuter than puppies at Christmas? Well, I just wanted to send a comment to wish you and yours a very Merry Christmas!